The year was 1995. The day, Christmas Eve. As Karen Louck flipped through Parade Magazine, she was moved by an article about a toddler, Laura, undergoing intensive chemotherapy. Karen read about how a special blankie had comforted Laura, enabling her to get through numerous hospital visits for treatment. Inspired by this story, Karen began making security blankets to give to a nearby hospital, and soon thereafter Project Linus was born. 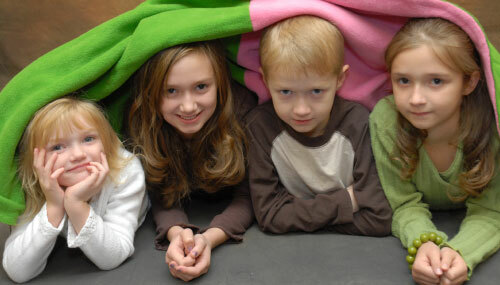 Since that night 22 years ago, Project Linus has expanded to all 50 states and has given more than 6.5 million blankets. That’s a lot of blankets! Given to children from newborn to eighteen, Project Linus specifically aims to bestow these handmade blankets on children who are very ill or traumatized. 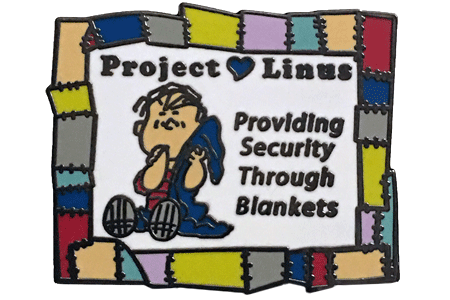 The blankets that Project Linus receives from volunteers are given to hospitals, social service agencies, shelters, and other places where there is a child in need. Wondering how you can get involved in this heartwarming mission? Keep on reading! If you’re the creative type, then perhaps you’d like to become a “blanketeer” for Project Linus. With tutorials of varying skill levels, you’ll be on your way to creating a special security blanket for a child in no time. If you’re a newbie to blanket making, then you might be like to start with a no sew fleece blanket or a fringed fleece blanket. If you’re an advanced knitter, crocheter, or quilter, check out more patterns here. Or you may even have a few favorite patterns in your arsenal. Blankets of all sizes are accepted, but to find out if there is a specific need in your area, get in contact with your local chapter. Every year Project Linus hosts events where blanketeers come together for a day of blanket making. The largest event for 2018 is on February 17th, so mark your calendars now! But you don’t have to be a blanketeer in order to help at this event or any other events throughout the year. In fact, Project Linus relies on folks who are willing to give their time to ensure the events run smoothly. To get involved, contact your local chapter by clicking here. Visit the Project Linus Store to purchase gifts, such as a Linus lapel pin, a bell ornament, a zippered tote (for hauling or storing craft supplies), or various sets of fat quarters. (I’m eyeing the Ombre Scroll Jelly Roll!) All proceeds from the store help support the organization as they spread the word about Project Linus. Love the mission, but not confident in your blanket making skills? You can support the mission of Project Linus by making a tax-deductible donation online or by mail. When you donate before January 1, 2018, you’ll receive a special gift! 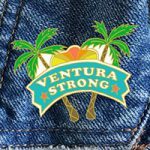 You could receive a Linus lapel pin, a zippered tote bag, a t-shirt, or Christmas card(s) sent to the recipient(s) of your choice. 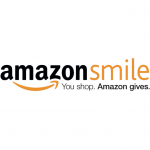 Also keep in mind that you can select Project Linus as your AmazonSmile charity, so any time you make an eligible purchase, Amazon will donate 0.5% to this admirable organization. Still another option is to donate fabric, thread, batting, or other materials to your local chapter. I have a pretty big fabric stash, so I’m planning on making a donation fairly soon!